Polski tekst jest jeszcze w opracowywaniu. Na razie dostępna jest tylko wersja angielska. Przepraszamy! The CEM40 is the newest addition to the center-balance equatorial mounts series (CEM) from iOptron. The mount head weighs only 7.2 kg, yet can support a payload of up to 18 kg. 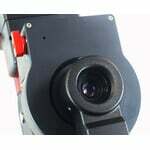 This extremly good payload to weight ratio of 2.5 makes the CEM40 versatile. You can carry it to your favoriert place under a dark sky or at your backyard observatory with a relatively small pier. 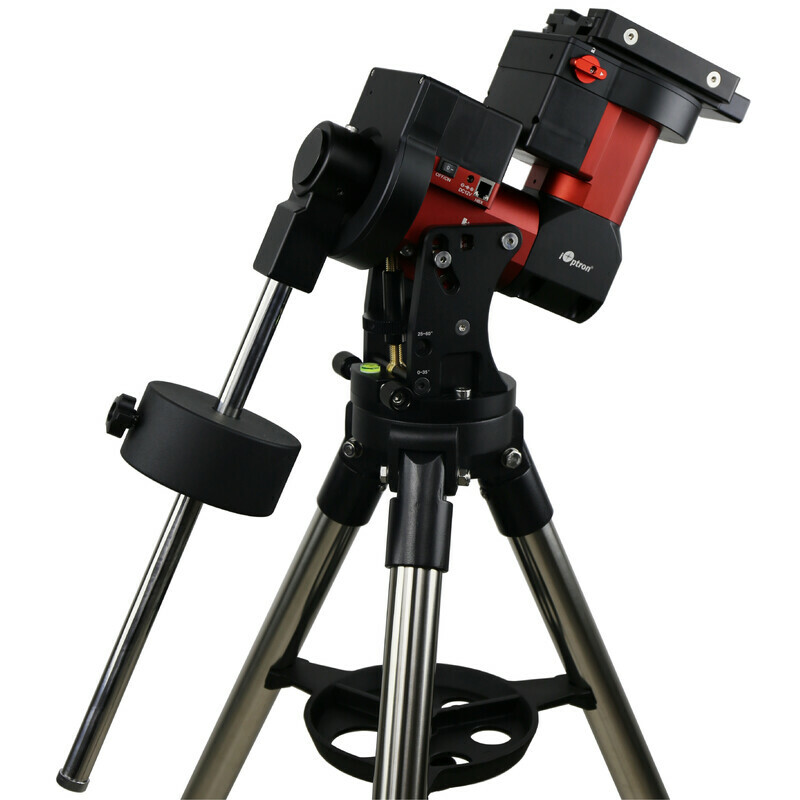 An integrated electronic polar finder scope (iPolar) ensures accurate alignment even at times when the pole star is obscured. Large levers on its quick-lock drive engagement system make it easy to snap its gears into place even when wearing gloves. There's little chance of your cables getting snagged with the CEM40's internal cable management system. The mount comes with the new Universal Self-Centering Saddle for Losmandy and Vixen style dovetails. The CNC body looks sharp but is really robust. The GoTo-Technology features a Go2Nova 8407+ controller with integrated heater for its large display, a 359,000 object library, integrated 32-channel-GPS and ST-4 auto guiding port. Another great feature besides the center-balance is the ultra-quiet low power consumption stepper motor drive systems. 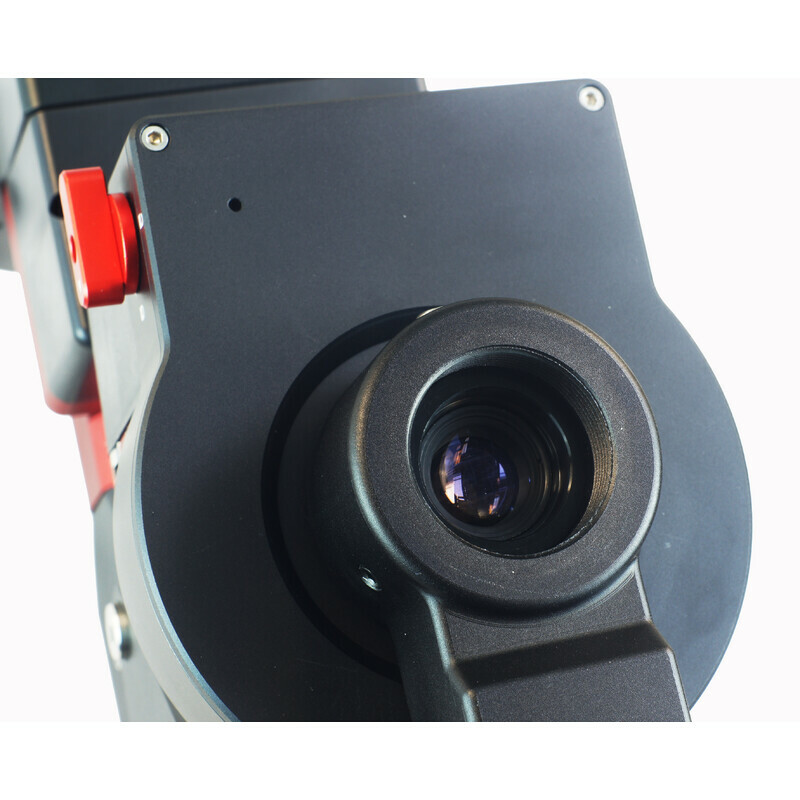 Both models of the CEM40 are precise trackers, the CEM40-EC version delivering <0.25 arcsecond accuracy with its high-resolution encoder and its real time periodic error correction (RPEC). 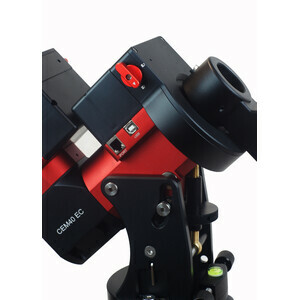 The CEM40 is a extremly versatile and advanced mount.